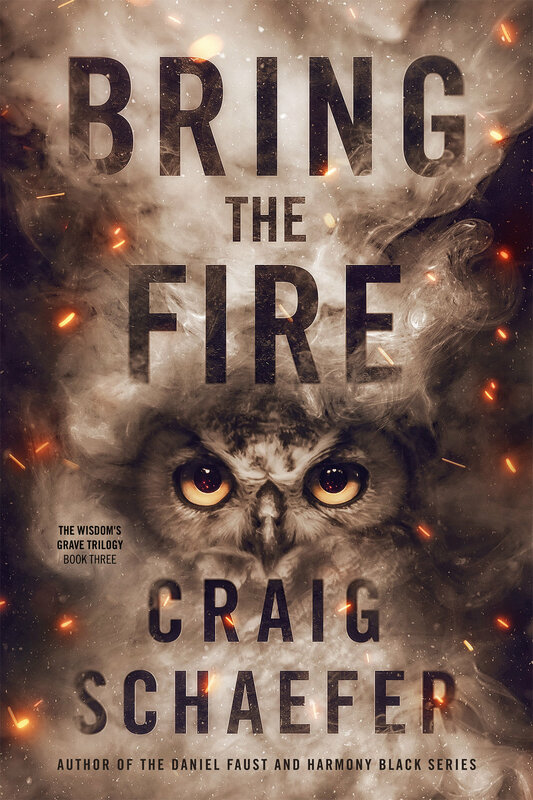 Bring the Fire -- New Cover Reveal! Happy Tuesday, everybody! I hope it’s a happy Tuesday. I’m having a productive Tuesday, so that makes me happy at least. I thought today would be a nice day to…do a new cover reveal! The final art for Bring the Fire is done, thanks to the awesome talents of James T. Egan, and I think it’s a fine teaser of what lies ahead in the final book of the Wisdom’s Grave trilogy. I’m still hoping for a Halloween release. That said, a critical member of my production team (not sure how public they want to be about this, so I’m gonna be vague about exactly who it is) is going through a most understandable delay – they’re having a baby! So I hope you’ll forgive me if we run a little late, but that’s one of the few production slowdowns that really can’t be argued with in any way, shape or form. Believe me, I tried. I was like “Baby, do you know who I am?” And the baby was all, “No, idiot, I’m a baby.” And that was the end of the argument. Anyway, bottom line, still hoping for Halloween but we’ll see. I’ll give you a firm date the second I have one.